It all started as a simple magic exam for a first year sorcerer's apprentice. However right before his exam, Anton managed to get caught on the teleporter's lever and changes the course of his destination. He must now face a difficult and perilous test that will challenge his budding magical skills. Thankfully there is still hope for young Anton. At the very last moment, his master managed to throw a handful of magical scrolls to aide him on his journey. Venture through a beautiful world filled with 80 exciting and challenging match-3 levels with bubble shooter elements. Will Anton be able to return to his master? More importantly, will he survive the ordeal? 80 challenging Match 3 levels! Game of Stones is rated 3.9 out of 5 by 19. Rated 5 out of 5 by goodgoodgood from Great Game! I love this game! When is Game of Stones II coming out! Rated 5 out of 5 by tyyllls from Wake up those brain cells! I absolutely love this game! You take time to set up strategy as you are ranked by the number of moves it takes to clear the board, or to remove a certain # of chalices. The fewer the better. It gets quite challenging, and is exciting to replay whenever you want. I've gone from losing a level terribly to getting 3 stars on it! So you know it's possible, just have to figure out the best way to play that level. That makes it even more addicting to 'try again, just one more time'! If you like a challenge and using your strategy skills, this is a great game for you. Try it! Rated 5 out of 5 by zandu2 from Wow I have had this game for some time now and I find it amazing, challenging and with many hour of pleasurable play to it. It is one of the better games in a long time. Thanks BFG and bring on some more games like this. Rated 5 out of 5 by CTauthor from No story - but good matching challenge! I admit right up-front: this game is short on story. A short intro suggests that you need to gather 80 crystals (confirmed by a short video at the end) - but story really isn't the point of the game. It is a matching game - new, different and challenging! Premise is actually rather simple: match different tiles (they really are tiles moreso than stones), which causes them to collapse (upward). First few levels explain gameplay pretty well. After that, its 70+ additional levels of the same, but with increasing difficulty and objectives. What I really like about this game is the absence of a story to worry about - and a total focus on gameplay/strategy. Some levels only took 1 try to score 3 stars (the more tiles you play, the fewer stars you earn). Some levels (fortunately, only a few) were REALLY difficult and took multiple attempts. But that's what I liked - you have to focus on strategy to get through all 80 levels. Overall - I found this a lot of fun and if you're looking for a total "strategy" (not story-driven) game - I would recommend it. Rated 5 out of 5 by LAndersen from Have a break - break some bricks I've missed a game like this: no elaborate story, no time wasted on dialogue, no timer. Instead, it's all about breaking bricks. Simple, old-school stuff - and extremely entertaining. 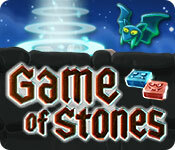 Game of Stones will probably become one of my "go-to" games, even after I've completed it. It's so nice that you can pop in and out of the game as you please, and replay any "opened" level, even after you've got 3 stars. It's perfect for those times when you need a short break, and I find myself playing this instead of solitaire. Rated 5 out of 5 by ecblisa from Brick Breaker plus match 3 I both love and hate this game. I love it because it is a thinking person's game and quite original, and I hate it (in a good way# because some of the levels are devilishly difficult, and I have had to replay them several times. The game is a genuine match-3 game in the sense that you need to make a match of 3 or more game pieces to remove any pieces. You do this by aiming and releasing a new piece, so the game is also like a brick breaker game #it is not a marble popper, because the pieces do not move, and there is no time pressure). There are useful and necessary power-ups, without which some levels cannot be beaten at all. 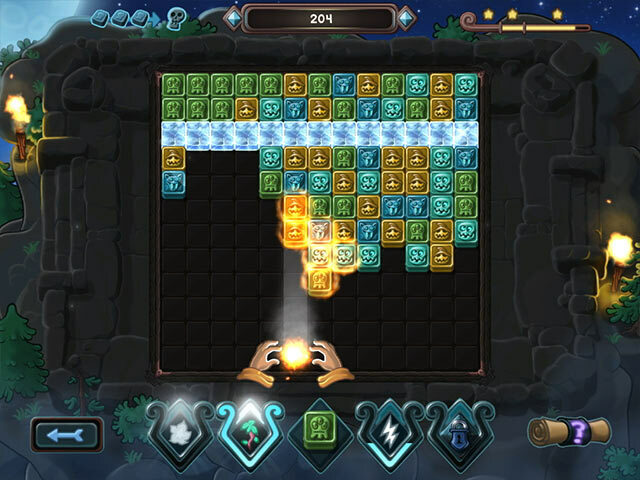 The most difficult levels require you to either collect a certain number of chalices, or the penalty for too many non-matches is 4 new rows added from the top, which can be instantly fatal to that level. I've played over half the game, and found the variety of challenges very nice. The different levels call for different strategies, and these are not "play fast and don't think" types of levels. One serious mistake can easily lead to disaster. Fortunately, the levels are infinitely replayable. I highly recommend this game for the patient player who is willing to learn what works, and willing to play slowly and think strategically. As another reviewer correctly pointed out, it is like a puzzle game. I would add that, like a puzzle game, it may not have an instantly apparent solution for all levels. Rated 5 out of 5 by pennmom36 from Leave No Stone Unturned Excellent game, I'm having a blast playing this Game of Stones! This game is similar to a bubble shoot game only you launch stones to make matches of at least 3 alike stones. Relax, take your time, there's no pressure because you have all the time in the world to set up your strategy! Left clicking will release the stone and right clicking will exchange that stone with the next available, as you strive to earn 3 stars on each level (there's even a star meter that shows the star status) The less moves you need, the more stars you'll earn, and there are 30 achievements to earn (I even got one for losing) If you fail to make several matches in a row, more stones are added, the more consecutive matches you make will charge the bonus meter which will give you valuable bonuses such as a Vine to destroy a single stone or a Fireball which takes out several stones in a surrounding area. 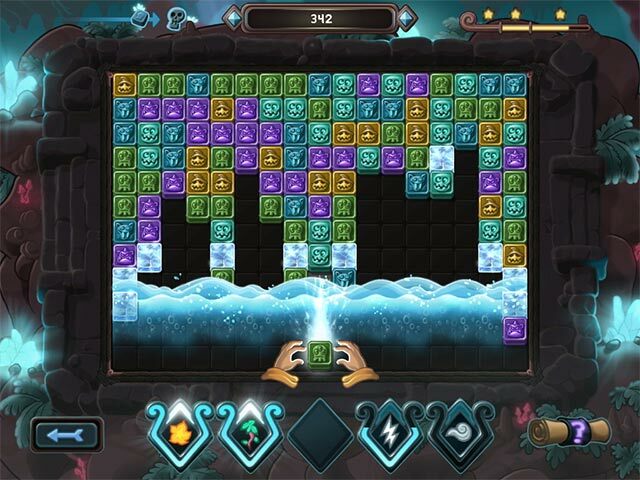 each level gets more challenging with ice cubes to break or chalices to free. This is one of those games that will keep you entertained for hours as you strive to reach the goals and receive 3 stars, most definitely worth a coupon, enjoy! Rated 5 out of 5 by biscuitsmama from Another Great Puzzle Game A few years ago another game from this developer "Stones of Rome" quickly became one of my favorite games to play when I wanted a quick puzzle or a game that wasn't really story driven. Needless to say I have been waiting to see what this development team had to offer next, so today when I found Game of Stones my wait was over. 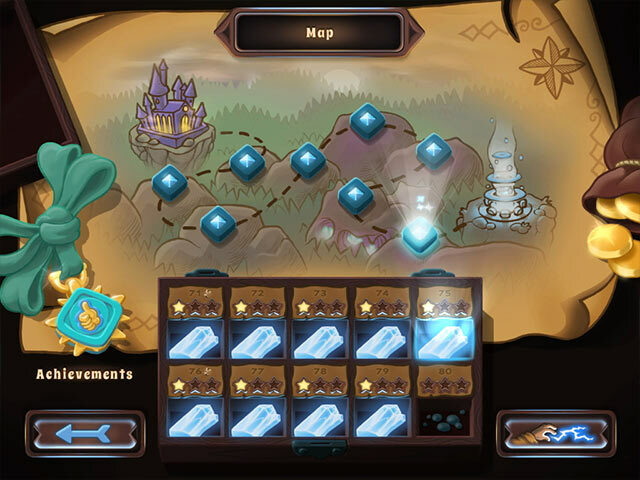 Although the game mechanics are a bit different than in their previous offering, the overall principle of the game is the same and that is to clear stones from the board by matching groups of stones. There is extra challenge in this game because we are awarded stars based on how many moves it takes for us to clear the board. As we move through the various boards the level of challenge increases. It didn't take long for me to decide that Game of Stones is another great little puzzle game so for me it was an almost instant purchase. Some of you might like this type of game and others may not but for me it is a refreshing change and a game that I will play over and over again until I can beat some of the trickier levels. As always, I recommend that you try the demo to see if this is a game you will enjoy. Rated 5 out of 5 by dachsy from Excellent Brick Breaker Game Although this is billed as a Match 3 game, it is really a Brick Breaker one, and a good one at that. It starts off simple enough, and you get the feeling that you will plough through it in no time at all. However, after a tutorial round of 10 games, you soon realise that you need to strategize. I got to the end of Round 2 (20 games) by the end of the demo, and the challenge factor was really heating up. You play to obtain a maximum of 3 'Stars' in each game, and there are absolutely no time restrictions, so take your time. With a click of the mouse you can swap the stone you are about to fire, with the one waiting next in line, if you so desire. More stones are added from the top of the board when you fail to match at least 3 like-stones in a series of moves. Game is won when all stones are removed. Excellent responsive gameplay, good graphics, and great visual and sound effects make this a fine addition to the genre. A game most brick-breaker and Match 3 fans alike will enjoy!